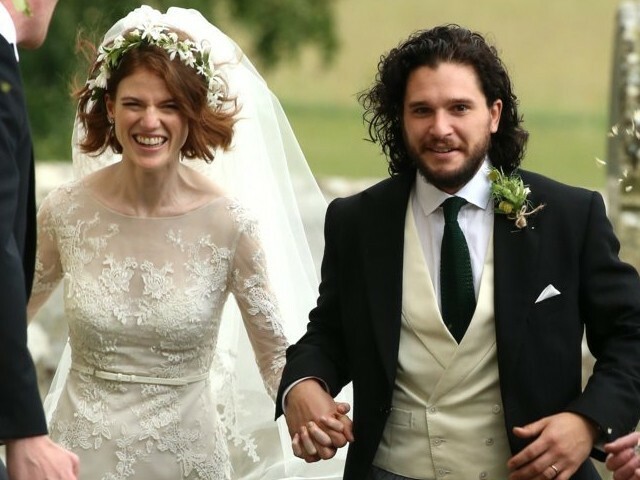 GLASGOW: Game of Thrones stars Rose Leslie and Kit Harington, who played on-screen lovers in the hit show, got married at a church in Aberdeenshire in Scotland. ‘Game of Thrones’ stars Kit Harington and Rose Leslie are engaged! As they left from the wedding venue, they were cheered and showered with flower petal confetti by guests who had lined up. The couple got into an old Land Rover Defender decorated with paper hearts and tin cans tied to the back, which rattled as the couple drove off to the reception at Leslie’s family’s 12th-century castle. Among the guests were Game of Thrones stars Peter Dinklage, Maisie Williams, Sophie Turner, Emilia Clarke, Jack Donnelly and Malin Akerman. The couple, both aged 31, met in 2012 while playing on-screen lovers – Ygritte and Jon Snow – in the TV drama. 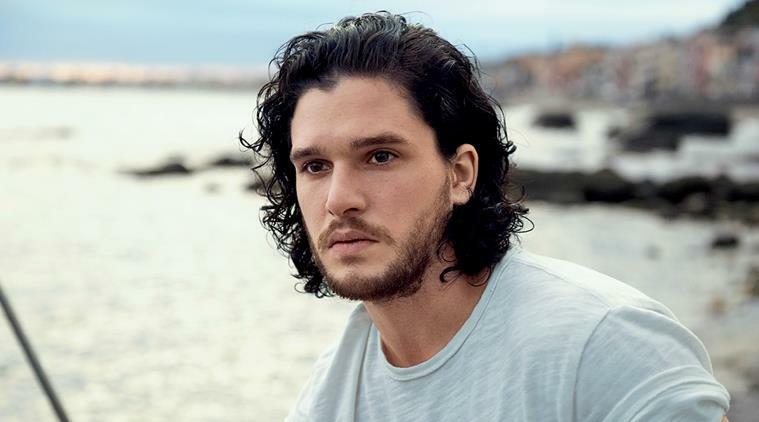 Two years after they met, Leslie left Game of Thrones, while Harington has become one of the show’s most popular stars, having appeared in every episode. They announced their engagement last year. Fans of the show gathered outside the castle hoping to catch a glimpse of the couple.